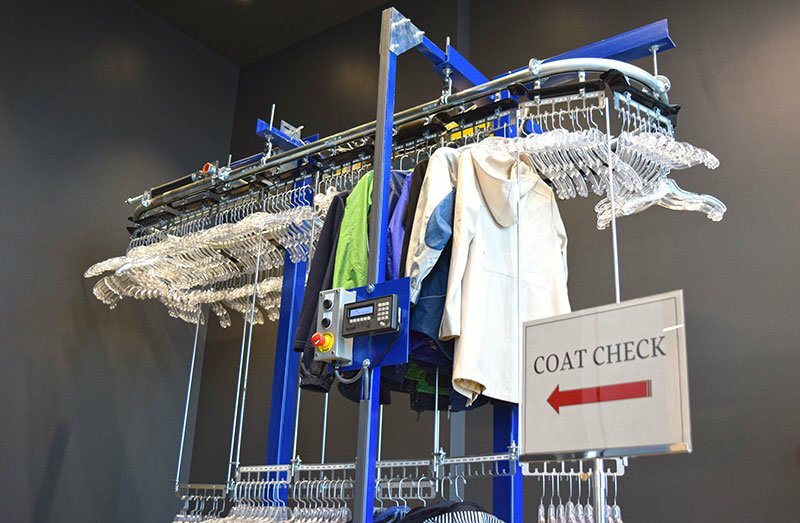 Coat check conveyor systems offer an automated solution for storing and retrieving coats and outerwear in large restaurants, clubs, banquet halls, casinos and other social venues. 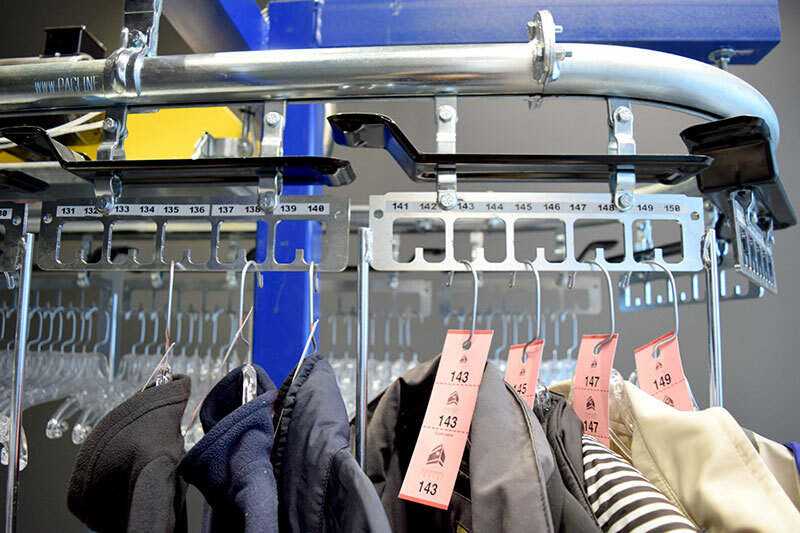 PACLINE’s coat check conveyor provides an efficient and versatile storage and retrieval system for a variety of personal garments such as coats, jackets, and shirts. PACLINE’s system utilizes overhead space to achieve maximum storage in order to leave the floor area clear. 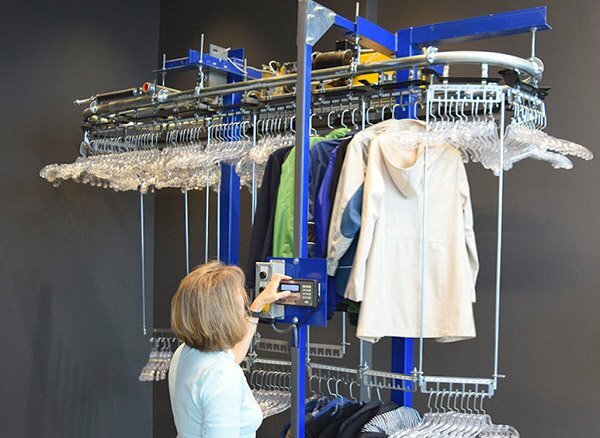 The PACLINE™ coat check system is compact and versatile with full customization, allowing the system to operate in tight and awkward spaces. 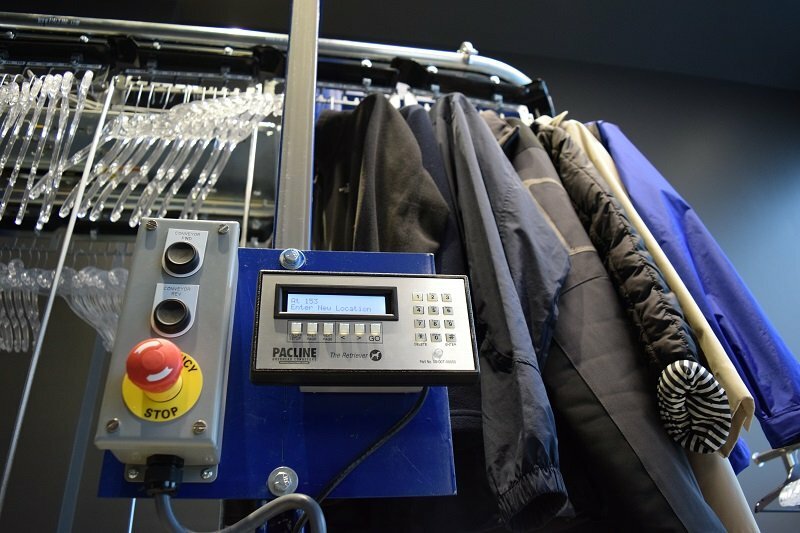 Operating and monitoring the flow of garments is easy with a variety of different checking options available. 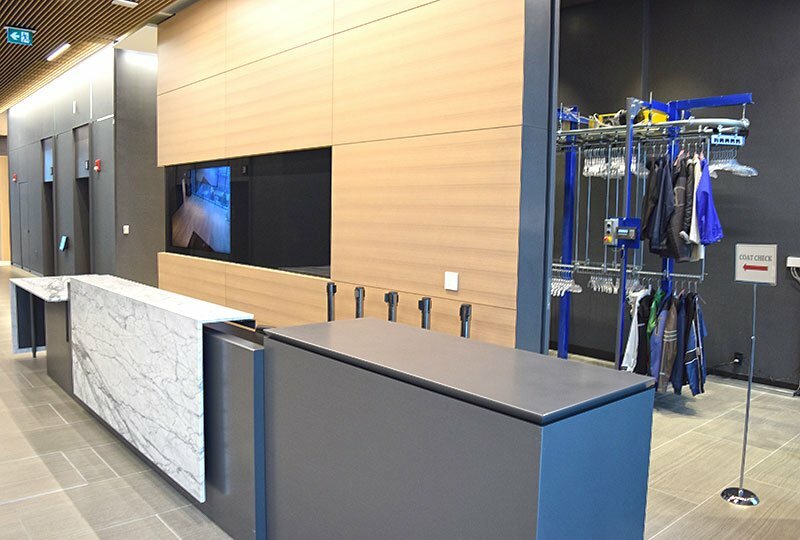 The PACLINE™ coat check system can be installed in a variety of different finishes to make it visually appealing to users. 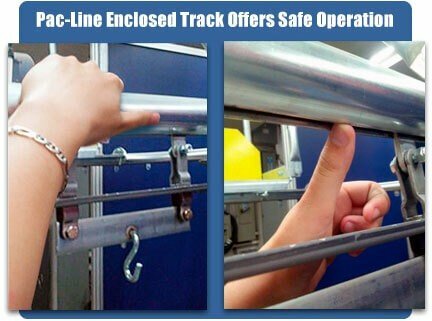 PACLINE’s™ enclosed track covers the chain to ensure operator safety when loading and unloading garments from the system. The system can be operated manually with a push button switch or semi-automatic with a PACLINE programmable Retriever™. 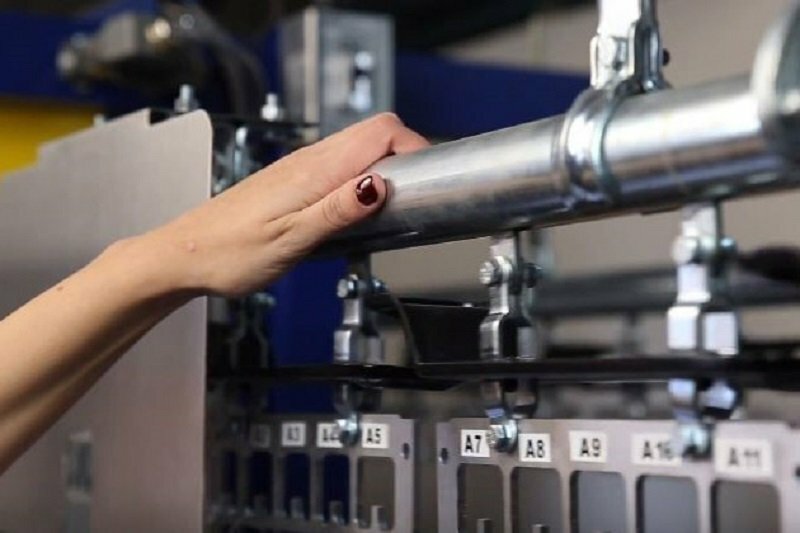 Bolt together, modular track design means installation and modifications are quick and easy – no welding is required. System is fully customizable allowing installation in virtually any space. The RETRIEVER™ automated storage and retrieval system allows operators to retrieve garments efficiently. System can be designed to accommodate all types and sizes of garments. 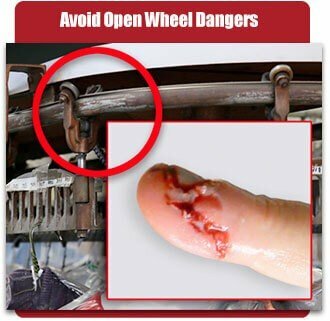 The PAC-LINE™ enclosed track design eliminates dangerous pinch points common in other conveyor designs.